Home » Financial Planning » Insurance » What are the Advantages of Term Life Insurance Policy? What are the Advantages of Term Life Insurance Policy? Term insurance policy provides protection for a specific period of time and generally pays the benefit only if there is demise of the insured person during the “term” or period chosen. Term periods typically range from 1 year to 30 years, depending upon the needs and risk protection horizon of the individual which usually coincides with the active earning life of the person. Buying a term life insurance policy is an affordable alternative to costly conventional savings oriented life insurance policies. In addition to the affordability part, Term life insurance policies are also flexible, easy to understand, and easy to buy. The most important advantage or benefit of taking a term life insurance policy is the low premium you have to pay for it as term life insurance is not like other usual conventional policies. The low premium is due to the reason that the insurance company is charging you the premium only for the mortality risk and not the saving component as is done in conventional policies. Moreover the premium of the policy depends on the term of the policy. Shorter the term, lesser the premium and vice-versa. With a term life insurance policy, you can invest your hard-earned money yourself as you like. Life insurance companies are often very conservative with how they invest your money. If you are well versed in investing, or good at saving, the extra money a conventional insurance policy costs may not be worth it. Instead, you can buy a more affordable term life insurance policy and invest the money you saved yourself to get the maximum benefits possible. A term life insurance policy is great for covering your short-term financial needs. 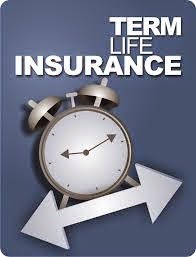 Term life insurance can serve as mortgage protection for your family due to premature death of the insured. The main breadwinner in a house can buy a term life insurance policy that matches the length of his or her home's loan to protect their mortgage. Another advantage of the term insurance policy is that you can discontinue it if not needed without bothering for any procedure. In other words, when you purchase term insurance, it’s sort of like renting a house. All the benefits of usage and staying in continue for as long as you continue paying rent. As soon as your lease expires, you must leave. Even if you rented the house for 30 years, you have no “lien” or value that belongs to you. The amount of premium you pay for your term life insurance policy entitle you to get Income Tax rebate in many countries. Therefore if any term life insurance benefit is paid when the insured person dies during the term of the policy coverage, the beneficiary collects the face amount (death benefit) of the policy income-tax free. A Word of Caution: Never give false information while going for your policy — life insurance companies will investigate before paying. If you do not provide correct information about your habits and health issues, your policy may be considered invalid in case there is a claim and your beneficiaries may not receive any money after you are no more.